The day of gloom is upon us again. That’s right, on the 14th day of this month, Neopians everywhere will come together to celebrate the saddest colour of all, grey. For the depressed pets in question, it is also a day for showing the world just how dreary they can be. Do you want to join in on Grey Day, but don’t have a grey pet? Perhaps you like to keep up to date with the latest fashion trends in Neopia? Or do you have a grey pet that wants to show the world how gloomy it can be? After all, the last thing they’d want to appear on their special day is... cheerful! Well then, you are in luck. In this article I have listed some especially depressing wearables to get you started on your miserable outfit. This simple yet symbolic trinket is the common companion for unconverted grey pets. Coupled with a depressing background and your pet's winning sigh, you’ll be all set for a day of gloom. If you want a more elegant look, Dying Rose in a Vase gives a similar feeling while being more refined. 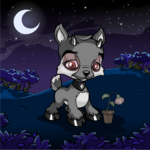 Has your neopet ever dreamed of being Baelia, that unfortunate grey faerie? Now they can! Get them a pair of Grey Faerie Wings to complete the look. While this dreary outfit was previously stocked at the NC Mall, it has since retired. However, if you go to the neocash chat board, you may be able to find someone willing to trade it for another neocash item. What is more depressing than coming online during your lunch break, only to be greeted by the Down-For-Maintenance Pteri? Reminisce on those painful memories and get back at that Pteri at the same time by stealing his fashion sense. Perfect for your red Pteri, though be careful he doesn’t get attacked by vengeful gamers. The very name of this wearable should inform you of its depressive air. Dark clouds and pale colours make it the perfect backdrop for your pet. 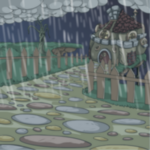 It would be advisable that your neopet wear a raincoat while enjoying this background, so that they do not catch a cold. This is what happens when your pet stays up late watching heart-wrenching soap operas on Neovision. At least they’ll look the part on Grey Day! Want to feel like you have been left out in the pouring rain without getting drenched? Why not try the Rainy Day Cloud, available from the Music and Sounds department of the NC Mall for 150 neocash? This is one of the more unusual wearables, in that it has added sound effects (though you probably already guessed that). While it sounds like your pet is trapped in a downpour, the raincloud is actually very small. It can be useful in making sure your plant trinkets get plenty of water. Aww, what a cute little slorg... that is trying to eat my head! 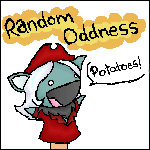 If you can put up with the slime, this harmless hat can make for a slightly more humorous take on Grey Day. Want something more realistic? The Brain Sucking Plant Hat prize from Blumaroll is the way to go, although you might have trouble removing it from your pet afterward. There are many broken and spilt trinkets available in Neopia. However, few are more depressing that the Melted Strawberry Ice Cream Cone. That delicious sweet ice cream, dashed on the floor, never to be licked again. Except maybe by a hungry petpet. What do you mean sacks aren’t fashionable?! This cheap outfit is torn and tattered, it’s true, but therein lies its charm. Wearing this sack will guarantee your pet sympathy from Neopians everywhere. Don’t put your anti-valentine wearables back in the safety deposit box just yet. They are perfect trinkets for your sad pets. Furthermore, the colour of the Broken Heart Tombstone matches grey pets perfectly. If you are looking for a hand-held or perhaps more colourful alternative, why not try the Broken Heart Trinket? Oh look, the sun’s come out! No wait, the rain clouds are back. Wait, it’s sunny again! This shy little sun will not only confuse your friends but will add a gloomy atmosphere to your pet’s customisation without them needing to get wet. The Rain Cloud-Covered Sun is one of the current prizes available from the JubJub Power Bounce game at the NC Mall. What’s that I hear you say? You want to stand out from the crowd? You want to be different? You want to spread CHEER on GREY DAY?...Well, grey pets daring to be different are not unheard of. If you’re looking for a joyful alternative, why not try some of these wearables? One cannot help but smile at this happy little face. It is rather ironic that the spinacle is blue, but I digress. Make sure you cut some eyeholes in the mask, unless your pet plans to stand in one spot all day long. What’s more cheerful than rainbows? This retired mysterious morphing experiment from the NC Mall has a whole range of stages dedicated to these wonders of nature. Cast a spell of happiness with the MiniMME5-S1: Rainbow Ribbon Wand, amaze your friends with your MiniMME5-S2: Rainbow Contacts, and dance all day in the MiniMME5-S2: Rainbow Tutu while you spread your MiniMME5-S2: Rainbow Wings. If that wasn’t enough joy to make you feel nauseous, try on the bonus MiniMME5-B: Rainbow Dress. Dance amongst the beautiful flowers. The soft colours are less likely to upset traditional grey pets, while adding some joy to Grey Day. It can also make for a subtle contrast with some darker clothes or trinkets. This time the sun is here to stay. The warm glowing rays are sure to enhance your pet’s vibrant customisation. You can obtain this wearable from the NC Mall for only 150 neocash. So there you have it. Now you can look fabulous on Grey Day whatever your colour or mood! Of course, the wearables listed above are just suggestions, or starting points for possible customisations. I look forward to seeing everyone’s creative outfits. Until my next article, I wish you all a joyfully depressing Grey Day. You didn't ACTUALLY think Illusen was a goody two-shoes, right? Why was she lying in the forest of the Haunted Woods? How did she get there? Most importantly, what was her name?